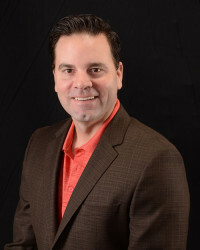 Mark Coffelt, President of Medsource, joined the company in 2008. Mark initially worked as sales team-lead for the post-operative product line-up. After quickly making an impact along with his displayed leadership qualities, Coffelt was promoted to Sales Manager, then Director of Sales in 2010. In January of 2011, Mark was named partner of Medsource and personally invested in the business, shortly after, a formal succession plan was put into place with Mark and Beth Anagnos (Company Founder). In August 2014, Mark successfully executed a partner-buyout and now leads Medsource of St. Louis as the sole owner/principal. Prior to 2008, Mark spent the previous 10 years working in Sports Medicine. From 1998-2008, Mark held positions with teams within collegiate and professional sports working as an Athletic Trainer, Performance-Enhancement Specialist and Strength/Conditioning Coach. Teams included the University of Missouri-Columbia, St. Louis Swarm (IBL), Mobile Revelers (NBDL) and the Charlotte Hornets/Bobcats of the NBA. In addition, Mark served as a Sports-Medicine Intern in 1996 with the St. Louis Rams of the NFL. Mark earned his BA in Physical Education with an emphasis in Sports Medicine and Sports Management from Lindenwood University in 1998. Upon graduating , Mark was accepted into the University of MO- Columbia Graduate School. From 1998-2000 Mark was in the M.Ed Health Education Program while working as a graduate assistant athletic trainer within the Mizzou athletic department. Mark is married to his wife, Amy and they live in Wentzville, MO with their three children, William-9, Samantha-6 and Mia-3.